We flew to Bogota from Colorado and put ourselves in the able hands of Marcela and her team at See Colombia Travel. Excellent choice; they welcomed us at the airport and stayed with us until they put us in the plane back to the US. They showed us the Eje Cafetero (Coffee axis or coffee growing region) and the city Cali that claims to be the salsa capital of the world; it’s a vibrant modern city with roots dating back over 400 years ago situated in a gorgeous valley with temperatures in the 80’s and 70’s. In Colombia we found out that our house in Colorado Springs might burn; and as we prepared to fly to the coffee region, a volcano erupted throwing ash all over. Marcela, on the spur of the moment, kindly changed our reservations to an area where there wouldn’t be falling ash, and indicated to us what flights to change. We ended up in a delightful old Hacienda redecorated with antiques in perfect shape, immaculate surroundings with lots of trees flowers, a beautiful swimming pool, Jacuzzi and a spacious dining room; you could dine in the garden as well. The place makes you feel so relaxed that you could not spell stress or estrés; we never turned the TV or the AC. 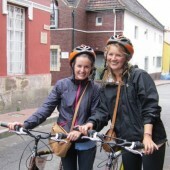 All the guides were very helpful friendly and spoke English for Shirley to feel comfortable. We shall travel with See Colombia Travel again. 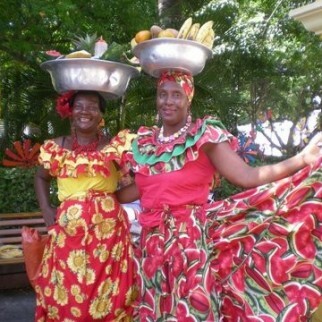 In early 2012 my husband and I traveled to Colombia on a 18 day customized trip with See Colombia Travel. Forty five years ago i went to college in Colombia. Due to the charm of the people and country, i’ve always wanted to return to a place that shaped my interest in all things Latino. Like many, my heart ached over the news of Colombia’s years of challenges. 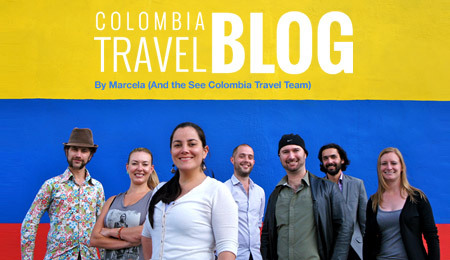 But while Googling “is it safe to travel to Colombia?” I found Marcela and See Colombia Travel. Larry and I are mature travelers on a quest to see most of Latin America. We love nature, hiking, Latin music and food, handicrafts/art, and warm places in February: everything to be found in Colombia. While I love to plan trips and knew where I wanted to go, Marcela and her informative website suggested places I had never seen. We visited the 3 places where I lived: Bogota, Medellin and Barranquilla: all changed and modernized. In addition we traveled to the coffee triangle, Villa de Leyva, Cartagena, Santa Fe de Antioquia, and Tayrona National Park, very interesting and different sites. Marcela arranged the hotels, the land transportation, and the tours. Our guides and drivers were exceptional. Some people question whether one can travel safely to Colombia. We never felt unsafe, but instead were embraced by the warm Colombian people, the green mountains and the spirit. For us there were many sweet times, but the highlight was a week on the coast in Cartagena and Tayrona. I knew Cartagena but it still gets under my skin, like a Caribbean island. Our days wandering around the old city and our evenings eating outside in various plazas with hundreds of people and local entertainment were magical. And Tayrona was the best. I had never heard about it and there is not a lot of information out there. Better to keep it pristine. We stayed in a cabin in Arrecifes which we reached by hiking through the jungle. What struck me the entire time was the quiet, the energy, and the natural beauty. We went to bed with millions of stars like a blanket above us. This unique place is not to be missed. 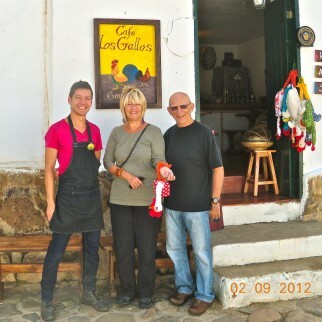 So thank you Marcela, our guides and See Colombia Travel. You are showing off your fantastic country with grace and pride. 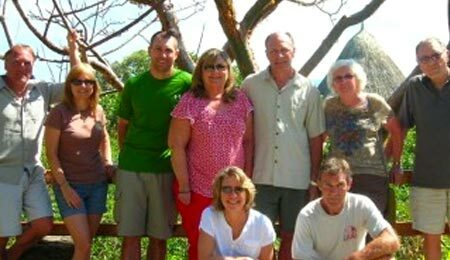 We would strongly recommend See Colombia Travel as your agency for a Colombian adventure. This year, my girlfriend and I wanted to go on vacation to South America. As we wanted to have a special destination, we decided to choose Cartegena de Indias in Colombia. At first, we were a bit concerned about the safety as we didn’t know a lot about the country, so we tried and search for some travel advice. 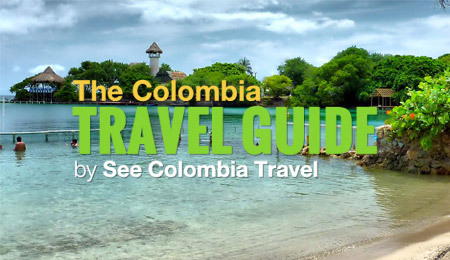 That is where I found this wonderful website See Colombia Travel. Sara and her staff were really helpful and gave us all the information we wanted. At the end, all of our concerns disappeared when we arrived at the airport of Cartagena. The short trip Sara designed for us was absolutely great. The guide we had was very professional and gave us a very interesting tour of the city with lots of historical details! The daily trip to Cocoliso on the Islas del Rosario was a pure dream and the Totumo mud volcano was really funny! I really do recommend anyone who wants to visit Cartagena (and other places in Colombia) to directly contact Sara and the See Colombia Travel team. 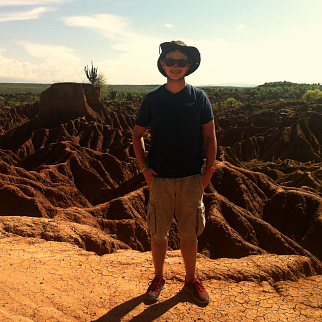 I was very happy with how See Colombia organized my trip to the Tatacoa Desert on very short notice. 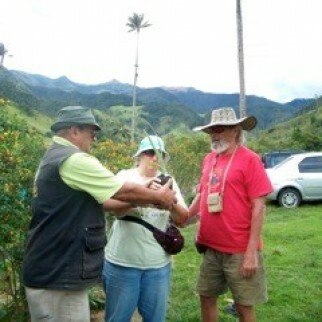 The guide was excellent, he knew this beautiful area perfectly and the posada where I stayed was very nice, I found the people to be extremely friendly. Are you an independent traveller who wants to stay away from cruise ships & all inclusives? If you want to learn about the culture of Colombia & need a bit of a helping hand – See Colombia Travel helped us organize a wonderful week. 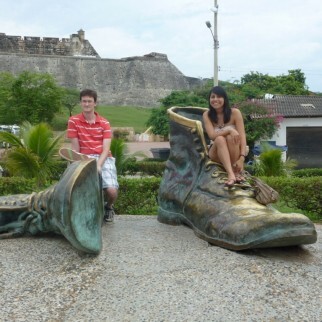 We travelled to Bogota and Cartagena. Their expertise and guides helped us learn about the local culture, find great restaurants and see the country through their eyes. Our trip was too short – we are ready to return!